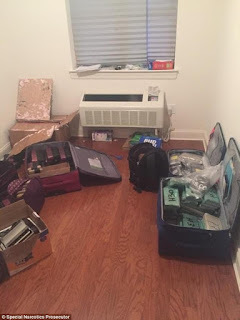 On August 1, more than 140 pounds of pure fentanyl and 50 pounds of fentanyl-laced heroin, as well as other drugs, were seized from an apartment in the Kew Gardens neighborhood in Queens. 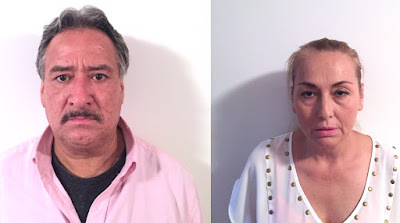 A total of 213 pounds of narcotics were confiscated from the Kew Gardens apartment. A month after the Kew Gardens bust, a second narcotics raid in the Bronx ― resulted in the seizure of 55 pounds of fentanyl and heroin. 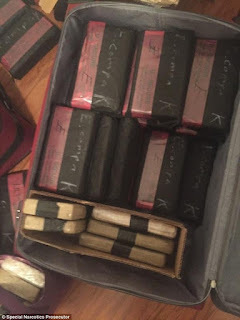 Rogelio Alvarado-Robles and Blanca Flores-Solis Officials said the drugs recovered in the two busts had a total street value of over $30 million. The seizures illustrated the enormity of the fentanyl crisis in New York City, where drug overdose deaths reached an all-time high in 2016. “The sheer volume of fentanyl pouring into the city is shocking,” said Bridget G. Brennan, New York City’s special narcotics prosecutor. Jesus Carrillo-Pineda, 31, Daniel Vasquez, 27, Jesus Yanez-Martinez, 21, and Omar Rodriguez, 37 Four men arrested in the largest seizure of fentanyl in New Jersey history were indicted on drug charges Friday. 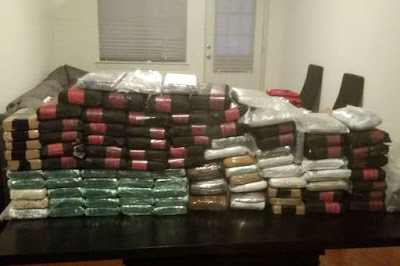 The 45 kilos of the drug seized in the June bust "could have yielded enough lethal doses to kill the entire populations of New Jersey and New York City combined." Police said the haul was so large they initially thought it was heroin, but testing later found it to be fentanyl. New York City police confiscated almost 200 pounds of fentanyl last month ― the largest seizure in city history. The cache was enough to kill more than 30 million people.